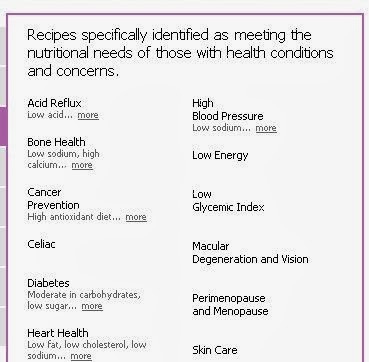 This is a great recipe site where you can search for the recipes you need based on your dietary needs. You can search by Diabetes, High Blood Pressure etc.Click the link below to go to the Prevention website. Click on the category you want to search for recipes in.